Now more than in a time EVER before, our world is suffering with the “#1 biggest health concern”… Weight management. In today’s modern actions,, people like you and I work hard day to day, we raise our families, we live day to day make a living, and that can take its toll. We identify with our appearance, and deep down inside we perceive a healthier us, but for the love of life, we keep moving without working on ourselves, our body. I wouldn’t be here in front of my laptop talking to you right now and by your side if I myself didn’t go through bad health. There are so many weight loss diets, and many more people trying to justify that they know what the best one is. Is the weight loss diet for women? people over a certain age? Science has been producing massive results on weight loss books, foods, and even more in the pills department. But is it all credible and functional? That’s where I come on. #1 I came back to my home in Vancouver, Washington after a long 3 year stay in California(for school and work), and when I arrived in town, I stopped following my workout routine for an odd reason. I was always active, so why now? 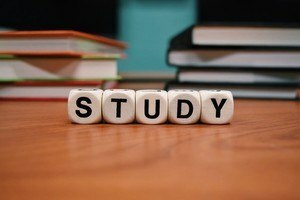 Maybe it was my moms delicious home cooking, or just the amount of hours I put into school at my community college, and it caused me to focus on other things. Either way yo look at it, my health had gone away. I Strapped up and headed for the gym. Doing low impact activities because of my bad back and working on one targeted muscle stretch after the next was not burning the calories I needed. So i turned to weight loss books as my backup. This was when I first heard about the Ketogenic diet. The KETO diet(as its better known) is a state in which your body goes into what is known as ketosis. It raises the amount of stored fat in your liver to burn off at a much faster rate. If you want to learn more about it, see my article on losing belly fat fat fast here. I was able to work with the KETO diet for a couple of months before I started feeling pain in my lower back more frequently. It helped me reduce 8lbs in just about a month, but it didn’t help keep my inflammation away. You’ll get more information out from my best two ways to lose belly fat in this article, but as a quick overview, this weight loss diet plan is good for just about everyone without pain. With chronic pain it’s so easy to bust into inflammation, and that can result in binge eating, and just going away from safety. The thing with pain is that you have to focus on reducing your cravings 110% first. … I let myself go for a WHOPPING extra 40 lbs! Call me nuts, because coming from an athletic standpoint, you’d ask me, Michael! Why?? My answer: I was in a different state of mind, but there is no excuse, I knew I had to fight for my lifestyle. Through my struggles of constant inflammation and terrible lower back pain, I finally found the answer I was looking for. And for this, I want to share with you the number one key you’re missing to lasting weight loss. I didn’t get anything but a curvature in my spine, an anterior pelvic tilt(from working, sitting in the office). So I really relied on tools like seat cushions. But I can finally wipe that off my plate. I had a wedding to get attend in California. Knowing myself, I wanted the excess weight. Before I found a good solution, I was eating great foods with turmeric, and ginger for my diet, but this time, I needed a faster catalyst to act. In today’s world, did you know that conventional commercial farming is stripping the soil of MANY minerals your body needs to maintaining a healthy weight? There’s one specific mineral, one that can transform not only your body, but your health issues. One of these minerals helps keep your blood sugar in check. And when you don’t get enough of it, you know what? Your blood sugar “SPIKES” after your meal, and it will stay that way for about 4-6 hours after. You crave more “carbohydrates, and simple sugars” in LARGE quantities. The more consistent you get, the more your brain lust, and it needs more sugar! When your bloodstream dips, you go into a “sugar crash.” You go into starvation mode, your brain tells your body to “give me more, feed me more”, you might even start shaking(been there, don’t let it get to this point). It’s not good news, because statistically more people give into their cravings then not. And it’s usually not a nutritious, healthy, well-balanced meal is it? Instead, you reach for the comfortable bag of chips sitting in the very front of your pantry just waiting to be torn open and devoured, or the leftover Halloween candies that you stashed not only in the back of your freezer, but in your room. You can probably assume these binge moments are killing your waistline. All these cravings just add more sugar to your bloodstream, and turns sugar into fat-FAST. Once I can get you to have some self-control, and you’re not on a ramp of consuming cravings, you’ll have NO DESIRE to binge eat sweets, and have simple sugars. And now you’ll be able to finally start losing your weight, and keeping it off for good. I must start with the source, and that’s your bodies bloodstream. And there is a simple way to do that. I’m thankful, this vicious cycle doesn’t need to last. And I’m especially thankful you can be cured NATURALLY. If it were not for breakthrough diabetes research over the past 50 years, I wouldn’t be able to share this with you. Take a second to thank scientist. 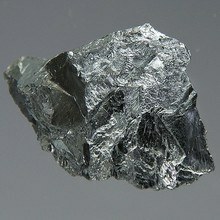 One of, and if not the greatest weight loss breakthrough is the mineral chromium. Why do you need this mineral? You need chromium to help regulate your body’s response to insulin, which in return helps jeep your bodies normal sugar levels. Improving your body’s response to insulin will also trigger burning body fat for energy, instead of storing it in the middle. Controls your appetite. Cravings for sweets. Carries protein. Chromium carries protein to the area your body needs it most. So, while you’re burning fat, you build lean mass. It was about 12 years ago, Dr. Gil Kaats and here team of researchers from the “Health and Medical Research Foundation” and the “University of Texas Health Science Center” studied over 100 people to see if they would lose their fat from just taking chromium. They were split into three group, to run a controlled and independent experiment. One group received a placebo(a dummy pill), while the other two groups received chromium. Keep in mind: None of the participants were told to change anything about their diet, exercise, habits, or how much they ate. After 3 months, the placebo group showed no changes. The chromium groups had lost between 3.3 and 4.7 pounds of body fat. To add, they gained an average of 1.5 pounds of PURE muscle. Not bad for doing anything right?! Simply put, many people do not get enough chromium. They get more than they can hold their chromium in. The government says chromium runs between 20 and 45 mcg for adults. And that number is low! It’s not enough to get your blood sugar in control. You’re not short on ways to get your recommended(low) dose of chromium. Recommendation 1: You can eat a half-cup of broccoli. has 11 mcg of chromium. Recommendation 2: A cup of grape juice. 8 mcg. Garlic and egg yolks are also a great source. Most multivitamins will have them too. But get this…there is a LARGE problem with just eating chromium-rich foods or even taking multi-vitamins. You only absorb 0.4%to 2.5% of chromium. Trying to get the low daily dose of chromium the “regular” way is not enough. Its useless. Fortunately there is an easier way to give your body the chromium the body needs. By bypassing your digestive tract! The fast and most efficient way to do it is with an oil spray, like ThinMist. When you use ThinMist for your daily dose of sugar regulating chromium, the “magic mineral” will hit your bloodstream in less than 30 seconds! You’ll never worry about getting chromium you need to have healthy sugar levels ever again. And oh, what about your appetite and sugar cravings? They go out the window, bye-bye. It’s paramount that you go for the best weight loss diet for your specific needs. Like I mentioned, if you are struggling with doing straight exercise, and need a diet that will help you cut off weight without it, and if you don’t have a chronic pain, then the KETO diet will honestly be your best option. You can learn way more about that and all the natural ways to lose belly fat here. When you’re in pain, there is nothing better than consuming safe and natural ingredients like turmeric and curcumin. These will help reduce your swelling, and allow you to heal faster on your diet. If you want to learn more about turmeric and curcumin check out our article here. 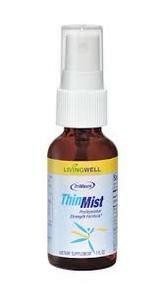 The bottle of Thinmist above is an alternative to helping reduce your cravings and get the right amount of chromium to burn fat that’s locked away in your body without going the pill route. But for a faster process and more extensive weight loss diet for someone with severe pain, curcumin and turmeric together are going to be best. In pain it can be tough to move your body the way you want, and get the right exercises to not only burn calories but reduce your cravings for bad foods. Over at our belly fat page you’ll learn about the best weight loss diet for being in pain. Go here to learn more belly fat loss. In that article, you will learn about a transforming weight loss diet known as turmeric and forskolin that I use to this very day. If you have any questions, comments, or concerns, please leave me a message down below. I will make sure to get to you within the next 24 hours.